Can You Guess? It's Valentine's Day! Somewhere in Japan a lady will receive 108 roses today. Can You Guess what the sender is asking? 1778 - Fernando Sor, Catalan guitarist and composer, was born. 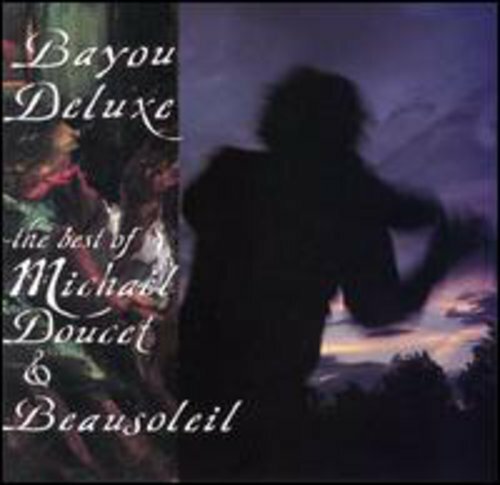 1880 - Debut of Gabriel Fauré's Piano Quartet No. 1 in c, Op. 15, at a concert of the Société Nationale de la Musqique Français in Paris. 1953 - Wayne Siegel, American composer of electronic music, was born. 1957 - King David, a four-part symphony jazz suite, and Lionel Hampton's only major musical work, debuted at New York's Town Hall. D. Mitropoulos conducting. 1970 - Bridge Over Troubled Water, by Simon & Garfunkel, was released. 2002 - Gunter Wand, German conductor and Bruckner specialist, died. February 14, 1911, Gustav Mahler made his debut performance conducting the New York Philharmonic Orchestra. Gustav Mahler was born July 7, 1860 in Kaliste, Bohemia (today the Czech Republic). His father, Bernhard, was a merchant, his mother, Maria, suffered from heart disease. Mahler had a deep emotional attachment to his mother. Several of his siblings did not survive, including his favorite brother Ernst who died in 1874. Only the sister Justine (who married Arnold Rosé, concert master of the Vienna Philharmonic) remained close to Mahler in adulthood. Mahler’s musical talent was apparent at age 4. He took piano lessons, loved folk songs and military bands, and began composing before he entered high school. He gave his first piano recital at age 10, was sent to Prague for advanced piano instruction at 11, and entered the Vienna Conservatory at 15. Among his teachers was Anton Bruckner. Mahler enrolled in the University of Vienna in 1877, to study philosophy, literature and music. By the time he left the Conservatory in 1881 he had already begun a conducting career, his first step to international fame as a performing artist. Mahler rose through conducting posts in small towns to opera and symphony directorships in Kassel, Prague, Leipzig, Budapest and Hamburg. In 1887 he met Richard Strauss, who became a lifelong friend. In 1888 Mahler wrote parts of his song cycle Des Knaben Wunderhorn, based on poems by Clemens Brentano and Achim von Arnim. He also completed his Symphony No. 1 (“The Titan”). Mahler conducted Wagner's Ring des Nibelungen and Tristan und Isolde in 1892, and received rave reviews in London. Besides opera, he also conducted concerts, and was recognized for novel interpretations of Beethoven symphonies. His Symphony No. 2 appeared in 1895. Mahler was appointed conductor of the Vienna Court Opera on June 1, 1897, and took on the Vienna Philharmonic a year later. He stayed with the Philharmonic until 1901, but remained in Vienna until 1907. While he was in Vienna, the city once more became the musical capital of central Europe. Much of this was due to Mahler's charisma. musical passion, and drive. Although he ruled his orchestra with an iron glove, he was kind and often quite introspective. Mahler read fiction, poetry and philosophical texts. He was highly educated and driven by great intellectual curiosity. In 1891/93 he wrote the orchestral version of his earlier Lieder eines fahrenden Gesellen (Songs of a Wayfarer). Reactions were mixed, but he received some recognition after the successful premiere of the Second Symphony, and his works were performed more often. 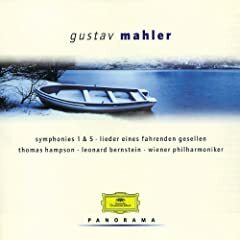 During his amazingly productive middle creative period, Mahler composed two song cycles, the Kindertotenlieder (Songs on the Death of Children) and the Fünf Lieder nach Rückert (Five Songs after Rückert), both based on poems by Friedrich Rückert several symphonies. The Metropolitan Opera, in New York, engaged Mahler for a series of performances. It opened with Tristan on January 1, 1908. 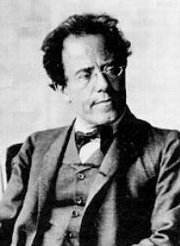 In 1909, Mahler resigened from the Metropolitan and accepted the position of conductor of the New York Philharmonic Orchestra. Mahler made his debut with the New York Philharmonic February 14, 1911. Shortly after that he fell ill with an infection which led to bacterial endocarditis. He went to Paris for treatment, then to Vienna, but was never successfully treated. Gustav Mahler died shortly before midnight on May 18, 1911. Have You Ordered Your Fiddle Music Yet? March 17's Just Around the Corner! Cajuns Fiddle Too! Imagine That! I really like this album!